When your friends are fashionable and fabulous, you tend to want to share (and copy) their style. This weekend was filled with NYC weekend looks, so today on the blog we’re sharing that fashion inspo. 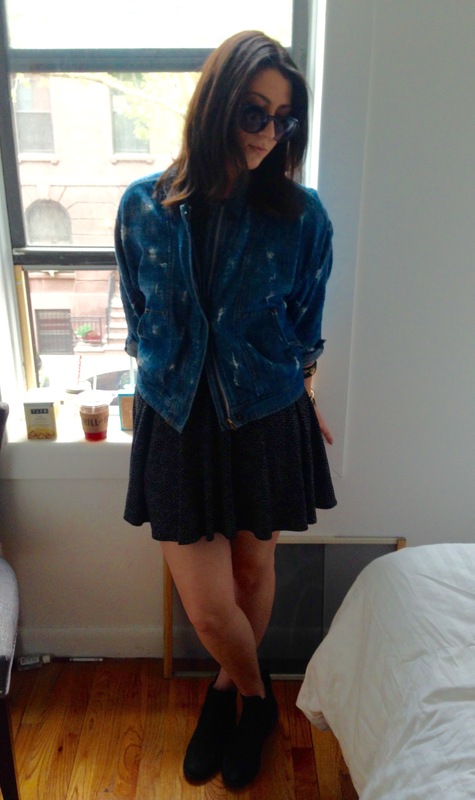 First, featuring Jaime and her Free People denim jacket we were all coveting. 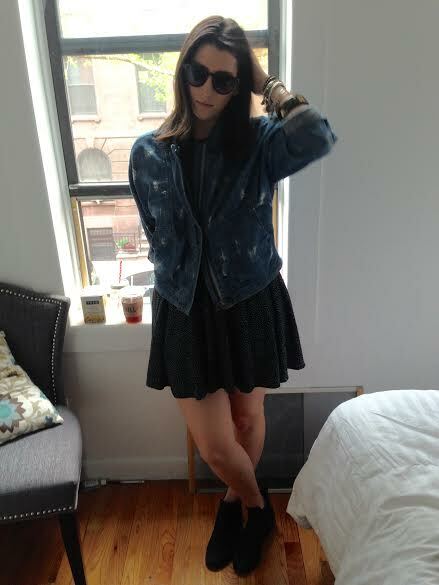 A perfect day-to-night look, modeled by Meg and Lauren, taken after brunch at Macondo East in NYC. I love a great plate of huevos rancheros, and dare I say, I had the best huevos rancheros at Macondo East. There are two locations in the city, which increases your chances for an amazing meal like the one I experienced. The design of the restaurant itself makes for a unique experience, as you are surrounded by comfy couches, hanging nets and bamboo. You also can’t beat their weekend mimosa special – unlimited mimosas when you purchase an entree and one mimosa.